Backed by rich industry experience and market understanding, we are involved in offering a wide array of Heavy Duty Magnets to our valued patrons. We are manufacturing magnetic shunt of 2000kg to 25, 000kg of steel shell or steel frame type furnace of indutotherm make. 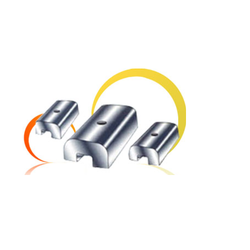 Permanent channel Magnet are used for the removal of iron from less strongly contaminated material from material like Rice, Flair, glaze, Slip (ceramic material) , Glass, Mineral powder, Slurry, Chemical, Liquid material , Food products for any kind material processing machine inlet or machine outlet.